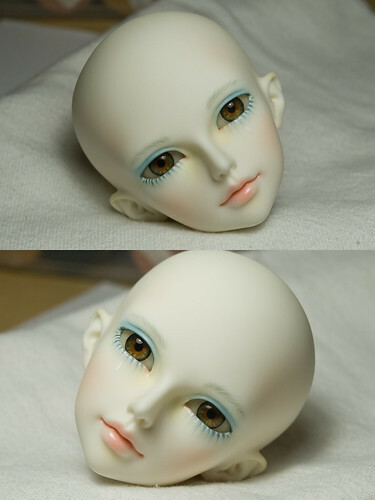 I finally finished opening the eyes of my chloe ve head. Its not something I’m in any hurry to repeat, way too much work. I finished her faceup and while I wanted to make her look dark and a little dead its not exactly what happened. 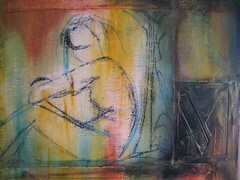 I did do quite a bit of blue grey blushing and a bit of yellow, I also blushed her chest piece, hands, and feet. However when I sat down to do her features she just turned out with a sweet and maybe a little sad expression. I’m really happy with her, now she just needs her clothes. I ordered a corset from Raouken on Den of Angels and it should be in next week and then I can finish her skirt. I don’t know when her wig will be in yet. The picture is not the best, it was late in the day and I had to turn on all the lights and open the window to get enough light. Some pics of the new pukifee. 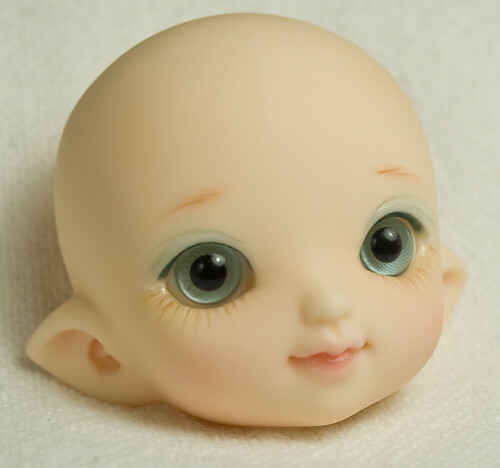 I finally got a chance to do the faceup on my new pukifee luna. 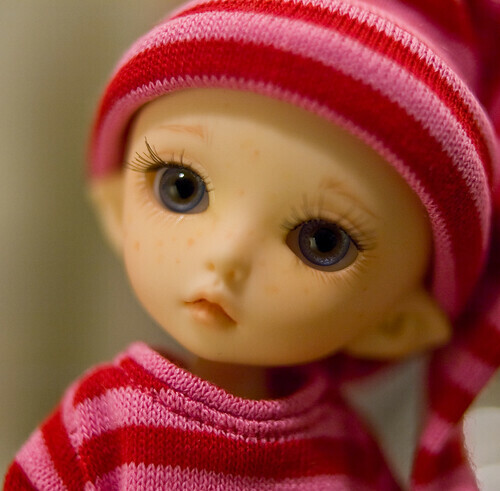 I knew I wanted freckles since she will eventually have red hair. I’m not a fan of the default faceup so I wanted something very soft and natural for her. I haven’t seen a whole lot of custom lunas yet. I’m happy with how the freckles came out but they are a pain to photograph. I used a magnifying ring for the front of my camera lens but that shortens the depth of field so she’s not all in focus. Also I think the focus spot on my lens is off center. She is a dream to pose. I did have to suede her neck to keep her head from tilting back. 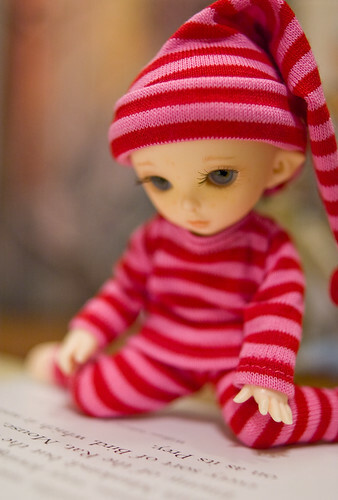 She’s the only doll that I have the sleeping face for, so cute! 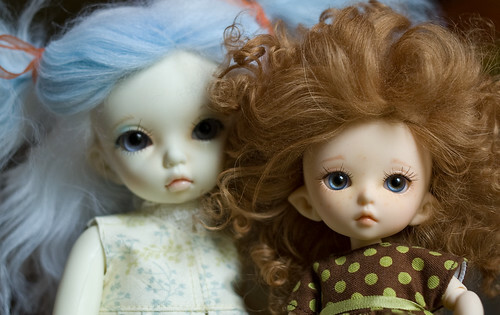 Denver Doll Emporium was so good though. Minutes after I had emailed them they got back to me to say that they would get me a replacement piece! I love good customer service. 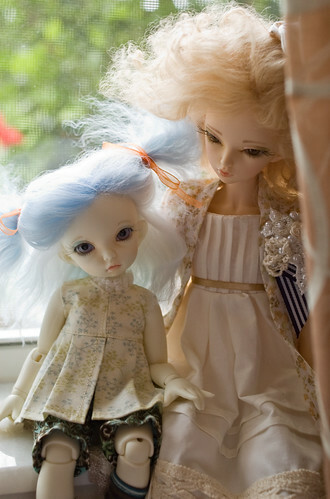 My plan was to share what I do with a new doll from cleaning to sueding to faceup and clothing. Well that has kinda got messed up since I won’t bother taking her apart until the new piece comes in. I can go ahead and show some though. Today I started fixing the mohair wig. 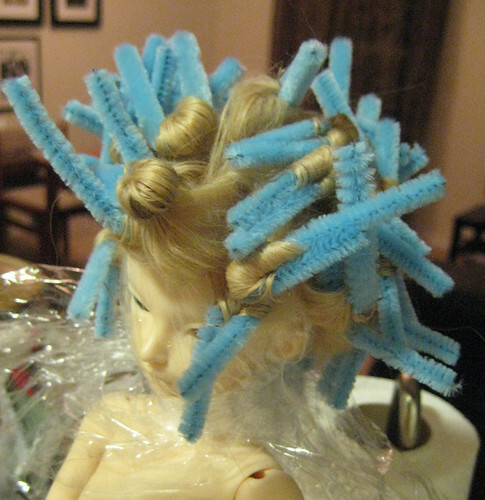 After wetting the wig and wrapping the doll’s head in plastic, I curled sections of the hair around pipe cleaners. 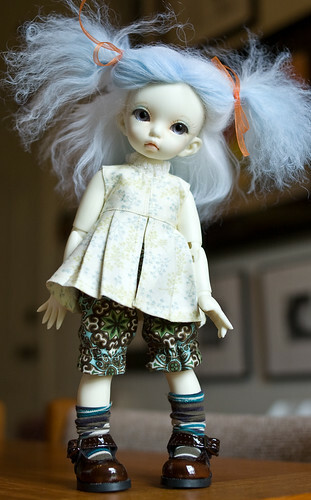 It will take until tomorrow to dry and then I can start on her faceup. I was finally able to finish the mnf lishe today. 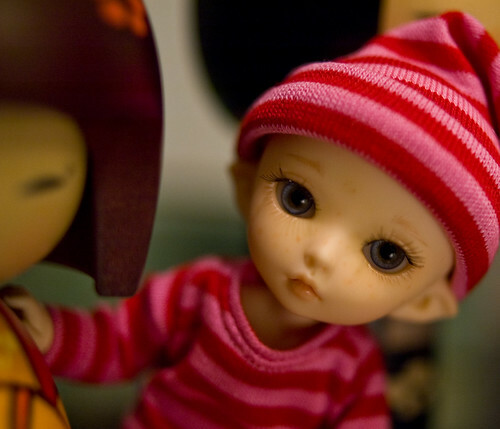 This one is another reminder of how much I like white skin dolls. I’m beginning to wish that I had ordered my rheia in white skin. Minifee heads are really easy to paint. The sculpts are high quality and the features are nicely shaped.